Monday is "laundry day," right? Well, as good as a big pot of red beans and rice sounds, I had no means to produce that today. I did do a boatload of laundry, however. No, for us, it was mommy's super quick Indian night here at the grand Chez Akre. 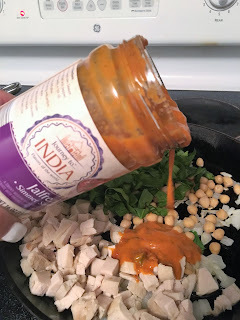 I am an uber-enthusiastic fan of the Indian "simmer sauces" found at Aldi. These sauces are how I first introduced the Wunderkind to Indian food, which is one of her favorite cuisines, to this day. These jars of goodness simply call for you adding veggies and meat of choice and it's dinner time. I already had a baked chicken breast in the fridge, so I chopped that, chopped some fresh spinach, and half an onion. 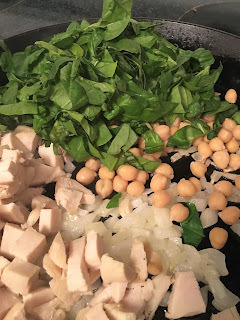 For added protein, texture, etc. I also used 1/2 can of garbanzos. All I had to do for our dinner tonight was start a pot of Basmati rice, saute the onion, add my pre-cooked chicken, veggies and sauce and wait. I also had one more piece of naan (also available at Aldi) in the fridge. 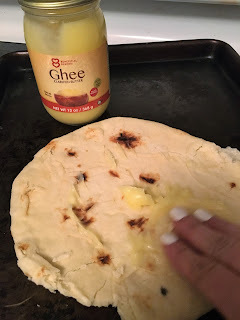 I smeared on a thin layer of ghee, to add some flavor and popped it in a 400 degree oven for about 5 minutes, as my entree simmered. 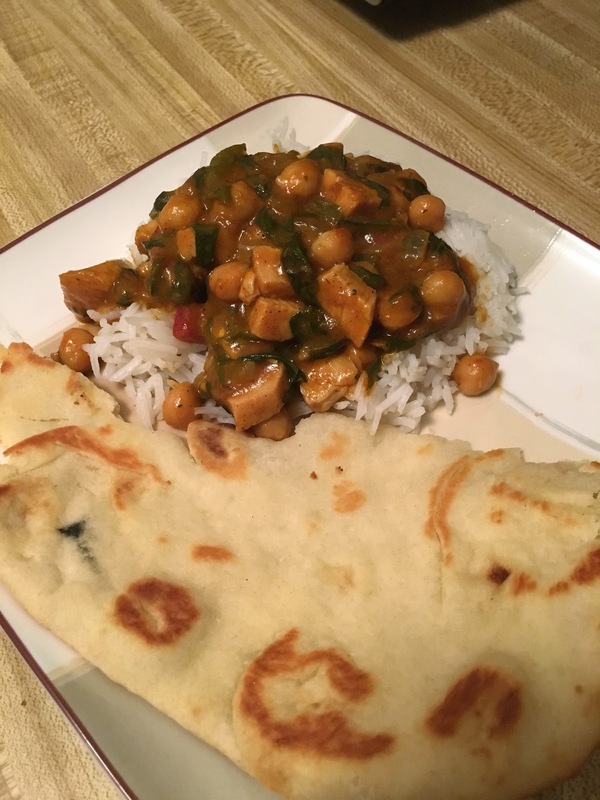 In literally minutes, we had Indian curry on our plates and in our mouths. 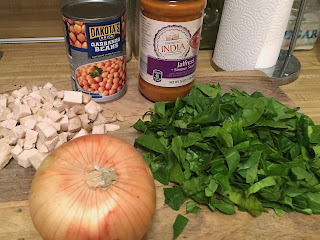 This is an incredibly easy way to introduce yourself or others to the flavors of Indian cooking. Of course, doing it all from scratch is a wonderful adventure. 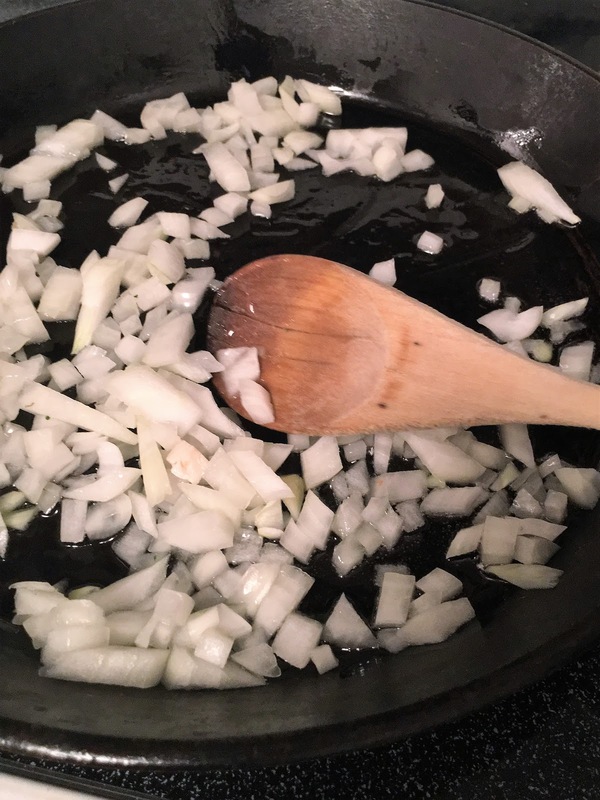 However, on a weeknight when nobody wants to spend tons of time in the kitchen, you can't beat this simmer sauce. 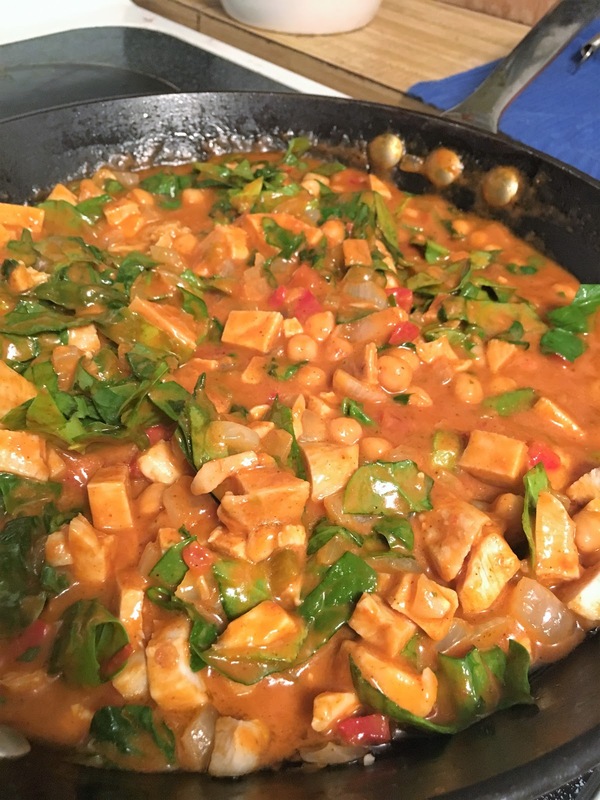 We've tried the Jalfrezi, Tikka Masala and the Korma and love them all. Couldn't be any quicker to cook and it's still an interesting and hearty meal without a whole lot of work. Try it! You'll like it!